How Can Our Dental Clinic Blackburn Dentists Help You With Cosmetic Dentistry? Cosmetic dentistry refers to the dental work designed to improve the appearance of a person’s teeth, gums, and bite. In this case, form takes precedence over function but many a reliable cosmetic dentist will consider both aspects in delivering their services to our patients. 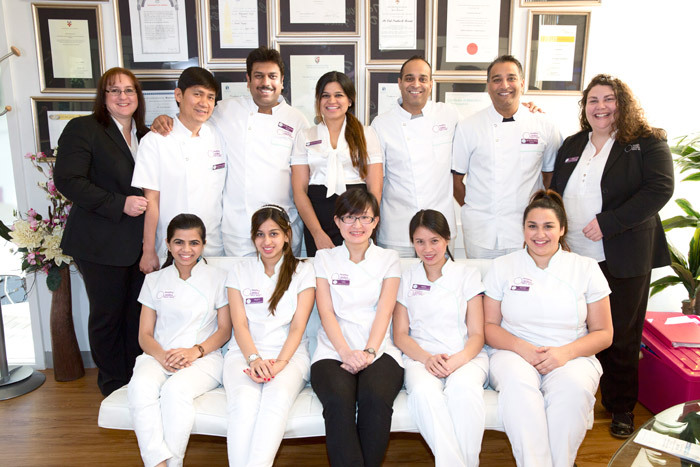 We are a one of the leading dental clinic Australia has to offer in this area. An increasing number of people are considering cosmetic dentistry because of its benefits. Better appearance of the teeth. The primary goal of cosmetic dentistry is the improvement of the appearance of the teeth and gums in particular and the mouth in particular. Our dental clinic Blackburn experts have the right knowledge, skills, and tools to whiten your teeth via teeth whitening procedures, align your teeth via braces, and restore the normal appearance of your teeth via veneers, crowns, and bonds, among other services. Better teeth function. All of the above mentioned cosmetic dentistry services may be mainly about form but these also improve the function of teeth in many ways. For example, braces align crooked teeth, thus, allowing for a more effective and efficient bite while bonds protect exposed roots, thus, lessening the pain felt from contact. Better oral health. With the professional services of our dental clinic, a patient will enjoy better oral health in many ways like aligned teeth that makes it easier to brush them well, artificial teeth implanted into the jaw that replace missing teeth, and crowns on teeth to protect them from easy breakage, to name a few examples. Better overall health. The benefits of cosmetic dentistry extends to overall health, too, such as the case when a patient can eat better (i.e., better bite, better eating habits from a complete set of teeth) and feel better about himself. Not all cosmetic dentistry services are suitable for everybody. Your cosmetic dentist will perform a thorough check of your teeth and gums as well as perform an assessment of your suitability for your desired cosmetic dentistry procedure. For example, you may want teeth whitening services but you are an unsuitable candidate because of your pregnancy. Consult with us to find out which service will be of most benefit to you. Teeth whitening is probably the most popular cosmetic dentistry procedure because everybody wants whiter teeth. Bonding improves teeth appearance by using bonding materials to fill in excess space in cracked, stained, and chipped teeth. Veneers are custom shells, which are made either from plastic or porcelain, designed to cover the teeth’s front sides and, hence, change their shape and/or colour. These are also popular cosmetic dentistry products which we offer at our dental clinic in Blackburn. Crowns restore the teeth’s normal shape and appearance as well as protect their function in many cases (i.e., protect a weak tooth). Braces improve an irregular bite, remedy incorrect jaw positioning, and align the teeth for a better appearance. Implants are permanent replacements to teeth as opposed to dentures. Talk to us about the procedure. Get in touch with us today for your cosmetic dentistry needs. We are here to help give you a Healthy Smile. « What Is IV Sedation Dentistry? How Does It Help?